Really like the colors of this one. I agree jj, the colors are exquisite!! JJ - that is one outstanding shot - I have a lot of catching up to do!!! Pleased to know that you are still inspirational. No need to improvement. What lense did you use?? wow!!! terrific capture. the colors are gorgeous! Fantastic shot again Jim!! Superb!! Wow! JJ, that's beautiful! 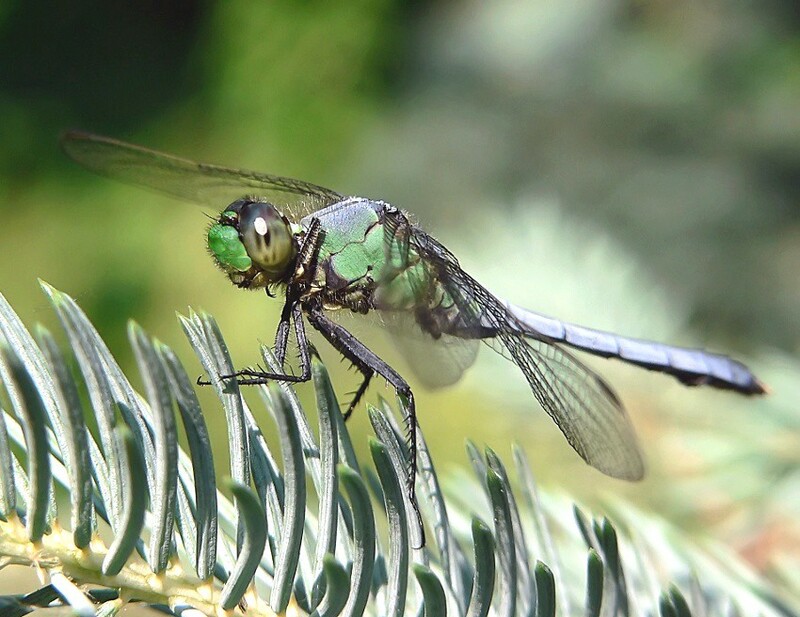 The plant's color really accents the colors of the dragonfly! You people are making me jealous, I so wish I had dragonflies here, they are so pretty! Thanks Diane and welcome back! No lense was used in the making of this image. You don't have Dragonflies; you should move.